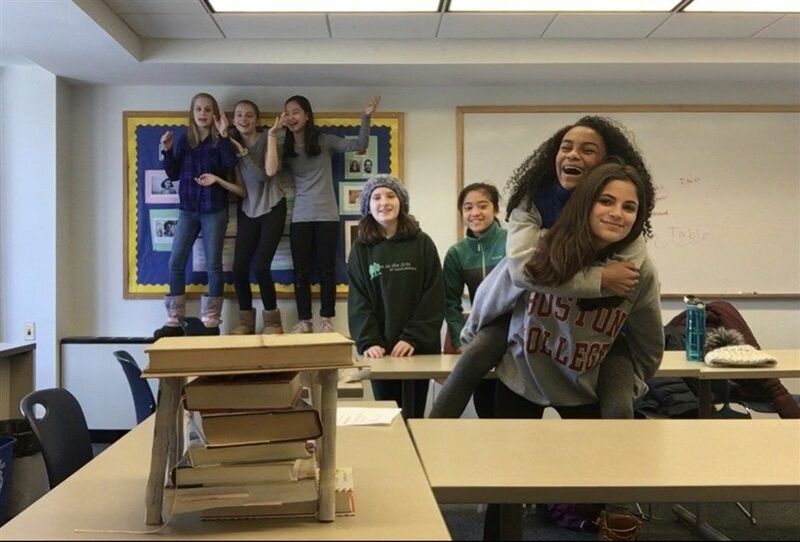 On February 25, Middle School and Upper School students participated in a school-wide STEAM X-Block. Instead of listening to a speaker as in years past, the students broke into advisories and participated in hands-on mini engineering challenges focusing on science, technology, engineering, arts and math. Pat Townsend, Engineering and Computer Science Department Head and Middle School technologist, researched 20-minute engineering challenges so the advisories would have enough time to see a challenge through from start to finish in the short span of one X-Block. 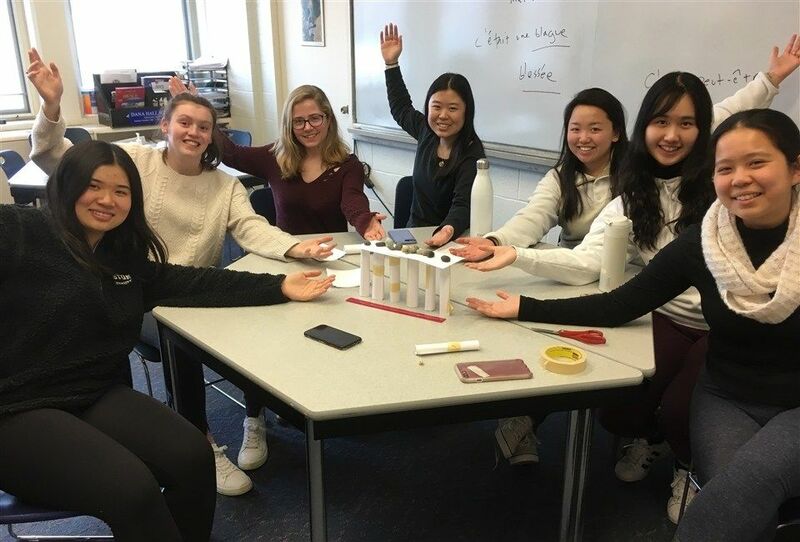 “After finding some fun ideas on the internet, Sam [Maselli, technology support specialist] and I built the structures and adjusted the instructions accordingly to make sure that the students would be able to complete the challenges during the time allocated,” Townsend said. The challenges ranged from building—like constructing a table of newspaper, tape and cardboard to support a heavy dictionary for 60 seconds—and coding to paper circuit designs. 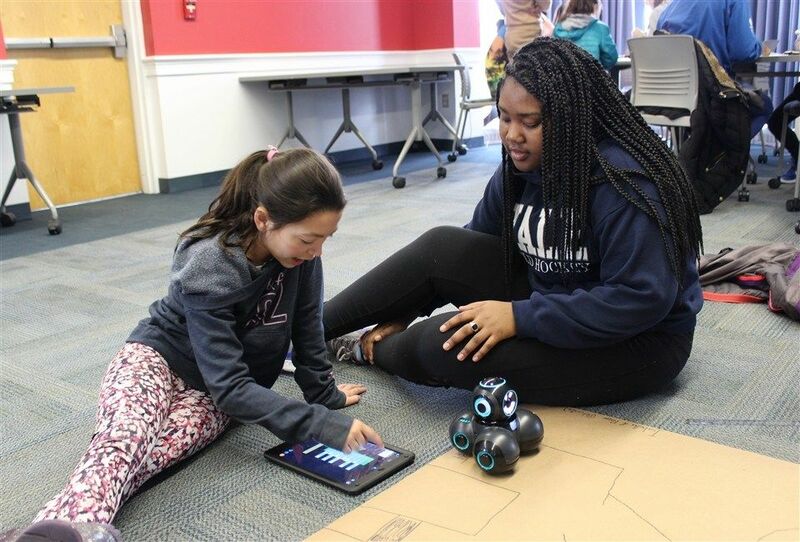 In the Middle School, a group of seniors visited the 5th grade where the younger girls demonstrated coding a small rolling robot, then together, the pairs problem solved to get their robot to the finish line of a maze. “After the event, I got lots of positive feedback from students and advisors about how much fun they had working together as a team to achieve the challenges,” Townsend said.